If you’ve been keeping up with us on our blog, you know that 2018 has been a huge year for our studio. From launching our all-new website to winning shiny new awards, hosting our first-ever Extra Life charity livestream and even meeting new furry friends, 2018 was a year we’ll never forget – oh, and we released a slew of new games, too! As the holidays roll in and our studio steps out for a well-deserved winter break, we thought we’d commemorate the end of the year with a special holiday speed sketch! 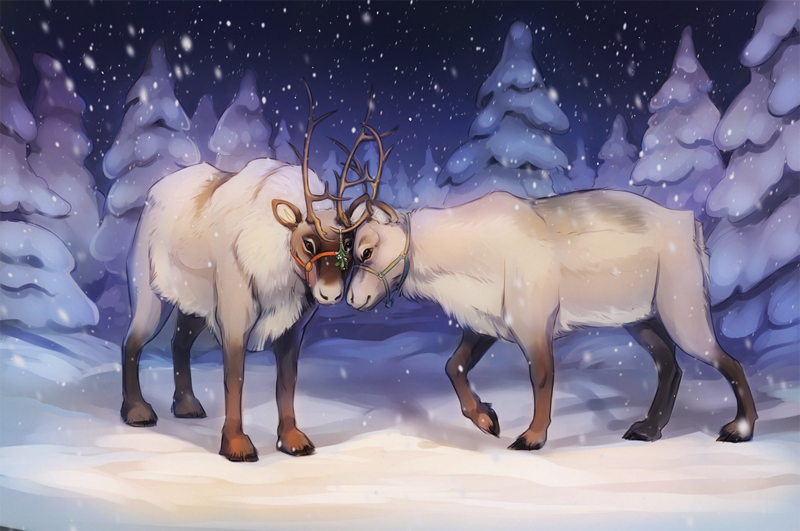 This time, Senior Game Artist Natasha Soglin is back with a whimsical illustration featuring one of the most wintery species known to man: Reindeer, of course! Fun fact: did you know that both male and female reindeer grow antlers? Neither did we prior to the making of this speed sketch. For more reindeer facts, check out this article from the National Wildlife Federation…and for more reindeer illustrations, scroll down and behold our annual holiday speed sketch! 🐾 Speed Sketch: Bucky Badger’s Four Legged Friends!